What Kind of Furnace Filter Should You Use for Allergies? Furnace filters come with a few major considerations and a simple role – cleaning everything related to your air conditioning system. Simply put, the filter will keep its parts clean and increase its durability, but it will also filter the air going throughout your house. It’s an upgrade to a previous investment, as well as an investment in your health. However, with so many choices out there, deciding on the right model can be daunting. Make sure you know what to look for in such a filter, but also research the best-rated units in this segment and find out what makes them so popular. While looking at furnace filters, you’ll see a series of specifications. Some of them are nothing but acronyms. For instance, many manufacturers will mention the Minimum Efficiency Reporting Value (MERV). This value was established by the American Society of Heating, Refrigerating and Air-Conditioning Engineers. The MPR carries similar characteristics and stands for Micro-Particle Performance Rating. This measurement was initially developed by 3M. It calculates the capacity of a furnace filter to capture particles smaller than 1 micron. Top runners come with an MPR of 1900, yet the average model for allergies will range between 1200 and 1600. The HEPA (High-Efficiency Particulate Arresting) rating applies to electrostatic filters. They rely on electrical charges to capture harmful particles. They’re mostly recommended to those with allergies, as well as asthma sufferers. If you’re completely healthy, there’s no evidence that it might actually benefit you. Just like for anything else in life, sizing is quite important when buying a furnace filter too. You should actually check the manual for sizing instructions. If you’re upgrading from another filter, double check the existing model and write down dimensions. Pretty much any filter has the size written all over the place, so you can’t miss it once you take it out. Also, you can tape measure the filter if you’re not sure. There are more types of furnace filters and you have to choose the right one. Many of them are rated as disposables. They can be made from more materials, such as cotton or fiberglass. You’ll find adjustable filters too, not to mention washable options. Electrostatic filters are quite popular these days – they can be both disposable and reusable. As a general rule of thumb, the performance is defined by the material density. With time, filters gather enough particles to start clogging and lose their efficiency – 1 to 3 months. That’s when you need to clean or replace the filter. Different people require different filters. For someone who suffers from allergies or owns pets, experts recommend investing in high-quality furnace filters. Of course, they cost a bit more, but it pays off. They’ll clear more dust, pollen, and other similar particles. Pleated air filters are also handy for allergic users, as this kind of design boosts the surface area. In other words, the filter can capture way more particles. On another note, pleated filters are more durable and don’t require too much maintenance. Now that you know what to look for in a furnace filter, what are the best-rated items in this segment and what features do they come with? 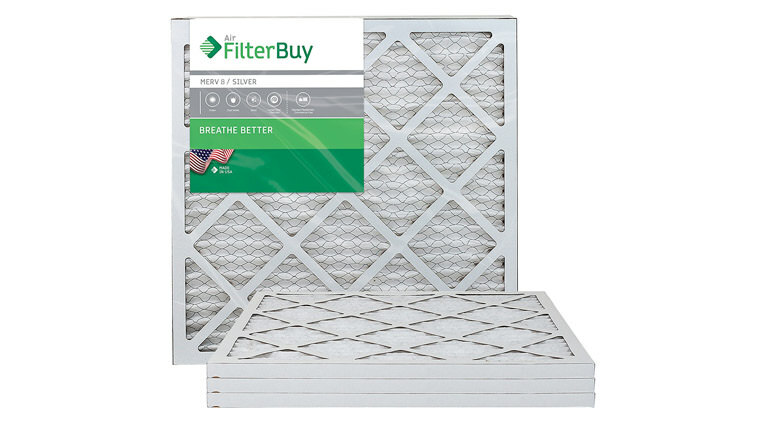 FilterBuy’s furnace filter comes in a pack of four units. It’s designed to last 3 months, so you have enough for a whole year. It measures 20x20x1 inches, so make sure it matches your system. Its durability is given by the pleated profile. If you have pets or you smoke, chances are you might have to replace or clean the unit more often. The filter is rated to work against pretty much everything – mold, pollen, dust mite debris, dust, and allergens. It’s suitable for both healthy users and people suffering from respiratory conditions or allergies. You don’t have to wait for a problem, but try to prevent it instead. The MERV rating is 8. It’s not the most efficient filter on the market, but it’s certainly in the superior segment. Also, since it’s pleated, it comes with an increased efficiency against small particles. There are 12 pleats per foot, so the capture area is significantly increased. 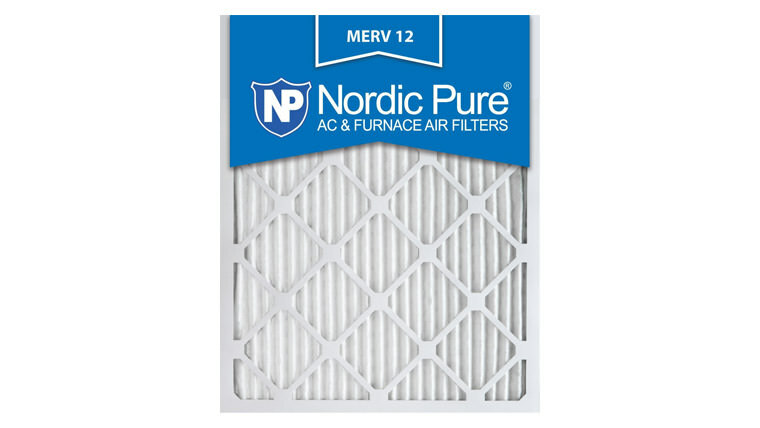 The furnace filters from Nordic Pure come in a pack of six. Although they’re supposed to last for up to 3 months, those with allergies, respiratory conditions or pets should change them more often. From this point of view, this set should last you around a year. Each filter measures 19.5×24.5×0.75 inches. 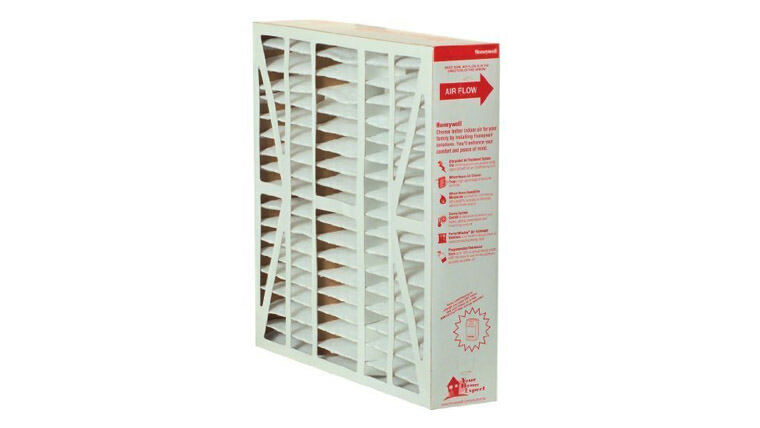 The air filter is designed for both commercial and residential properties. If it’s solid enough to handle a commercial property with no issues at all, chances are it will face no challenges in a regular home. Whether it comes to dust, pollen, dust mites, mold spores, smoke, viruses or bacteria, the filter can tackle most of these particles. Although it doesn’t have an official MPR rating, experts consider it has a comparable rating of 1500 to 1924, which is extremely efficient. It features a MERV of 12 – one of the top choices in the world. Also, the pleated construction is based on electrostatic materials. If you truly care about nature, you should also know the frames are made from recycled beverage board paper. Filtrete features an impressive 1500 MPR – more than the average in this segment. It comes with a 400% higher chance to capture particles (especially viruses and bacteria) less than 1 micron in size. The electrostatic charge is the main reason behind its efficiency. The package contains two filters only. The manufacturer rates them for up to 3 months, depending on certain circumstances. Unless you smoke a lot and you have a few cats and dogs, chances are you won’t have to replace them earlier than that. Normally, they should last you for around half a year. 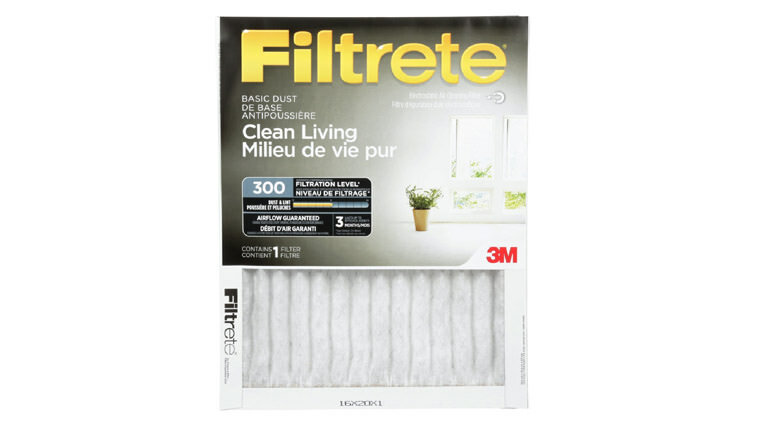 Filtrete’s furnace filters feature a new technology from 3M. Its main role is to trap harmful particles without affecting the airflow, so clean air can still go through with no restrictions at all. 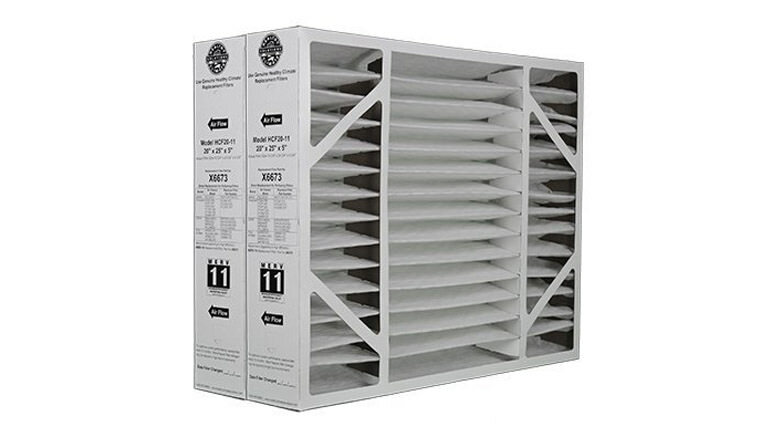 Apart from viruses and bacteria, the filter is effective against debris, smoke, pollen, dust, and lint. It comes in multiple sizes, so check your current filter before making a purchase. Lennox doesn’t fool around when it comes to quality. This model comes with a MERV of 11. It’s not big enough to affect the airflow, but it’s not small enough to compromise on efficiency either. It doesn’t have any official MPR though. The filter is white. This pack contains two filters. Each of them is rated to last between 1 and 3 months or even more. It depends on the environment. If you have any pets and you smoke, you might have to replace the filter every 6 to 8 weeks. If you just want some clean air and you don’t suffer from any allergies, you’ll be able to keep it for more than 5 months. The actual size is slightly smaller than what it’s advertised, so you’re looking at 19.75×24.75×0.375 inches. These are the only filters that will match a Lennox unit, even if other manufacturers claim the opposite. Honeywell doesn’t need too many presentations in terms of quality. While many manufacturers rely on cardboard boxes, Honeywell features polypropylene frames for durability and efficiency. The actual filter size is 19.9×24.87×4.37 inches – slightly smaller than the nominal advertised size. It’s also worth noting that you can buy it as a single filter or in packs of two or five. Obviously, packs will provide a better value for money. In terms of efficiency, this filter is rated at a MERV of 11. It can capture all kinds of particles, including microscopic viruses and bacteria that you cannot see. There are no words about its MPR value though. Also, you can fit this filter with a series of Honeywell appliances and not only – just double check the compatibility. There are no specifications about the durability, yet it depends on the environment. Some people change this filter once or twice a year, yet they have no pets and they don’t smoke. Such factors ask for a higher replacement frequency. 1. Does furnace filter thickness matter? Furnace filters usually range between 1 and 5 inches in thickness. Thickness has a small effect on the efficiency of your filter though. However, a thick model is sturdier and more solid, so chances are it will last longer than a thin one. It’s slightly more efficient too. 2. How often should you change your furnace filter and why? It depends on the filter and the environment. Some filters are rated to last longer than others based on materials and efficiency. As for the environment, if you only want cleaner air inside your home, you won’t have to change the filter too often – some units can last up to a year. If you smoke and you have pets, you might need to change the filter every 4 to 8 weeks. Fail to replace the furnace filter regularly and it will clog, so it will become inefficient. 3. Can you clean a furnace filter? Most filters are rated to be disposable. Therefore, once they’re full of debris and particles, they’ll have to be replaced. Some filters are rated as reusable. They’re more expensive, but they can also be used more times. Cleaning is easy and implies keeping the filter under running water. Turn it around a few times. 4. Can you run your furnace or AC without a filter? You can, but you should not. It’s the main contraindication. You should never do it or all the dust and debris will clog the coils, ducts and fins. They will damage your unit in no time. If your current filter is clogged, just restrict yourself from using the appliance until you get a new one. 5. What happens if the furnace filter is backwards? When installed the wrong way, the furnace filter will affect the air filtration process, furnace efficiency and air circulation. It may not necessarily damage the appliance, but it will ruin its efficiency. Most filters come with markers, so it shouldn’t be too hard to install them in the right position. Bottom line, furnace filters can be quite diversified. They do look the same, but small details often make the difference. Make this choice with your personal necessities in mind. Also, go through a few reviews and analyze specific feature before making a decision. What Essential Oils are Good for Allergies? Where is The Best Place to Live if You Have Bad Allergies? Allergic to Pets but Want One?